Pelvic girdle pain (PGP) affects many pregnant and postpartum women and affects function and quality of life. It is also under-recognized and under-treated, and many women are told that back, pubic and/or hip pain is just a normal part of pregnancy, which will most likely improve after delivery. In fact, in one study, 71% of the pregnant women with self-reported lumbo-pelvic pain told their health care professionals about their pain, and only 25% received any type of treatment for their condition (Pierce 2012). The reality is that PGP can be significantly improved in pregnancy and postpartum, allowing pregnant women to function well and enjoy their pregnancies. Rost Therapy consists of an assessment which identifies asymmetry and/or muscle imbalance of the pelvic girdle and unhelpful movement patterns and postures. Treatment includes therapist hands-on treatment to improve pelvic girdle symmetry and muscle support, followed by a home exercise program to properly balance the pelvic girdle joints and muscle patterns. Postural and movement advice for daily activities is an important part of the program. Because the home program is simple to do, adherence is extremely high: women have less pain when they follow the exercises and advice, and are only too happy to lead a ‘normal’ life with less pain and restrictions! A small number of treatments sessions are needed for treatment and to learn the program. This active approach gives women back control of their symptoms and function. Rost Therapy is a very effective treatment program with quick and lasting results, with effectiveness tested in a large follow-up study (Röst et al 2006). Within a few weeks, women with PGP using Rost Therapy could function normally, and return to work and exercise. In fact, 98% of 430 women treated with Rost Therapy in pregnancy reported benefit from the treatment (Rost et al). Only a small percentage of Rost patients required additional treatment after delivery. 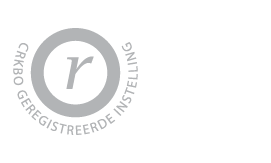 In the last twenty years, there has been a continuous demand for Rost Therapy training in Holland, Europe and North America. Many treated patients have educated other women about the method and have encouraged their health professionals to become trained in Rost Therapy. With conventional treatment, 35 percent of women with PGP were symptom free within a month after birth, but 7 to 18 percent had serious complaints up to eighteen months after delivery (Ostgaard et al. 1991). However, less than 2 percent (n=7) of women treated with Rost Therapy (Röst et al.) during pregnancy had serious complaints eighteen months after delivery, of whom five were at the end stage of a next pregnancy or had recently delivered. The sixth woman experienced postnatal depression, and the seventh had stopped the treatment and home exercises after two sessions. Within weeks or months, most women, even with prolonged pelvic pain, can function normally again and (depending on the stage of pregnancy or maternity leave) can go back to their work and sports. Only a very small percentage of the patients required additional treatment elsewhere. Many of the Rost patients who were treated while they were pregnant had since become pregnant again. Some of these women started developing symptoms of PGP in subsequent pregnancies, and so they came in for a refresher Rost Therapy session to review the exercises needed to restore pelvic symmetry. They went on to have great pregnancies with their PGP symptoms under control. These women were able to then exercise and participate in daily activities. How do I get Rost Therapy? Treatments are given by Rost Therapy trained physiotherapists, osteopaths, and manual therapists. All registered Rost Therapy therapists are located on our Therapist Listing on this website. Cecile lives and works in Leiden, the Netherlands. She manages Centrum BTR, a paramedical centre which includes MoVeS Manual Therapy clinic and other physical therapists. Cecile’s therapeutic career has been devoted to the treatment of women and children. Cecile has worked in Pakistan, Germany and in the Netherlands. She has had years of training in pediatric physiotherapy, sensory integration therapy and manual therapy, which have influenced her perspective as a professional. Cecile, from a large family with six children, initially focused her work on children with behavioral problems such as ADHD and autism. Cecile experienced Pelvic Girdle Pain in all three of her pregnancies. In her third pregnancy, using her own instincts rather than traditional treatment, Cecile devised exercises and postures which helped improve her own pelvic girdle pain. Since then, her work has acquired a different direction! Soon after childbirth, Cecile treated other pregnant and postpartum women with PGP using her own formula of exercises and therapy. She became inundated with requests for treatments from hundreds of women, both from home and abroad. Cecile then worked on research to determine effectiveness of her approach, and to discover how and why this approach worked. International publications, lectures, and many courses followed. Cecile completed her Clinical Epidemiology Masters Degree from the University of Amsterdam in February 2017. She will continue her career in scientific research into treatments for pelvic pain. Susannah Britnell graduated from Manchester University, England and completed her post graduate education in Canada. She has integrated pelvic floor physiotherapy, pain science (biopsychosocial approach) and manual therapy into her practice. Susannah works in Vancouver, BC, Canada at the Centre for Pelvic Pain & Endometriosis, an interdisciplinary program for persistent pelvic pain at the BC Women’s Hospital and Health Centre and in private practice. She has worked in Women’s Health and Obstetrics physiotherapy for over 15 years. Susannah teaches Rost Therapy Practical courses in Canada and is an assistant instructor and lab assistant for Pelvic Health Solutions. She teaches the Obstetrics Physiotherapy lecture for the School of Rehabilitation at UBC in Vancouver, BC, Canada. She also gives presentations for patients, as well as, health professionals, in Canada and internationally. Susannah has also been involved in the Canadian Physiotherapy Section in the Pain Science Communications Committee and Pain Science Mentorship program. Susannah’s passion is to help women overcome years of pain and disability. A majority of her patients have had pelvic girdle pain for many years, if not decades. By teaching other therapists the Rost Therapy method, Susannah hopes to break the cycle of chronicity, by ensuring more and more women have their pelvic girdle pain managed well in pregnancy and postpartum. Susannah experienced PGP in her first pregnancy and was unfortunately not aware of the Rost Therapy approach at that time. However, the program was very helpful for her even years after her delivery. She still uses the exercises regularly to this day. Cecile and Susannah have taught Rost Therapy courses as a team for many years in Canada, and have jointly developed this website, the online course and the app Rost Moves Mamas. 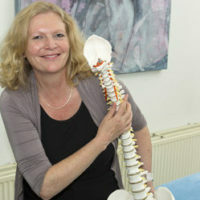 Therapeutic guidelines for the treatment of Pelvic Girdle Pain developed by Cecile Röst and Susannah Britnell. Copyright © 2019 Rost Therapy. Designed & Developed by RedBloke Design.